Get the scoop on professional duct sealing and find out how it can improve your HVAC energy efficiency. 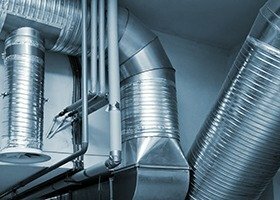 What is duct sealing? No, we aren’t talking about the type of duct sealing that involves duct tape! Professional duct sealing involves using professional grade materials—typically a special adhesive called mastic—to create a seal that lasts long-term. Sealing the holes and tiny cracks in your ductwork will ensure you aren’t paying hard-earned money to send your cooled air into the great outdoors this spring and summer. When you choose to get professional duct sealing, you can be sure your ductwork will be tight and secure, so all the cool air goes into your home where you need it most. A trained technician assesses your ductwork for cracks and holes and identifies the areas that need sealing. The tech brushes on the mastic where necessary and places a fiberglass tape or special foil to provide reinforcement for the seal. Once dry, the holes and cracks will have a secure seal to keep cooled air in and debris out of your ductwork. At Wilson’s Refrigeration and A/C Service, our duct sealing process is even simpler and cleaner. We use Aeroseal, which reduces air duct leakage as much as 90%. Our streamlined process provides a dramatic improvement in your indoor air quality and comfort. Our team at Wilson’s has seen first-hand how our professional duct sealing with Aeroseal can significantly improve your HVAC performance; let us help you make the most of your system this spring and summer. Contact our team of experts today to learn more about this service, or to schedule an appointment.